Features: This Rechargeable Li-ion Battery is specially designed for powering the system device which use12V DC power. You can use this battery to power our powerful wireless transmitter, CCTV camera,LED lights and so on. Super storage capacity. With working indicator. Large mAh value means long battery life. Built-in ON/OFFswitch, simple to use. Insulation shell, the use of more secure. With short circuit, overload, over-charge protection. Stable performance, durable. Specifications: Name: Li-ion Battery Mode:DC 12300 Exterior color: Blue Capacity:3000mAh Battery type: Rechargeable Li-on battery Input voltage: 12.6V DC. Features: This Rechargeable Li-ion Battery is specially designed for powering the system device which use12V DC power. You can use this battery to power our powerful wireless transmitter, CCTV camera,LED lights and so on. Super storage capacity. With working indicator. Large mAh value means long battery life. Built-in ON/OFFswitch, simple to use. Insulation shell, the use of more secure. With short circuit, overload, over-charge protection. Stable performance, durable. Specifications: Name: Li-ion Battery Mode:DC 1298A Exterior color: Blue Capacity:9800mAh Battery type: Rechargeable Li-on battery Input voltage: 12.6V DC. Features: This Rechargeable Li-ion Battery is specially designed for powering the system device which use12V DC power. You can use this battery to power our powerful wireless transmitter, CCTV camera,LED lights and so on. Super storage capacity. With working indicator. Large mAh value means long battery life. Built-in ON/OFFswitch, simple to use. Insulation shell, the use of more secure. With short circuit, overload, over-charge protection. Stable performance, durable. Specifications: Name: Li-ion Battery Mode:DC 12680 Exterior color: Blue Capacity:6800mAh Battery type: Rechargeable Li-on battery Input voltage: 12.6V DC. 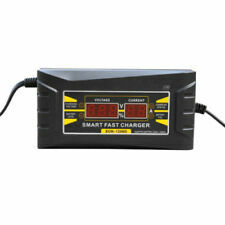 Features: This Rechargeable Li-ion Battery is specially designed for powering the system device which use12V DC power. You can use this battery to power our powerful wireless transmitter, CCTV camera,LED lights and so on. Super storage capacity. With working indicator. Large mAh value means long battery life. Built-in ON/OFFswitch, simple to use. Insulation shell, the use of more secure. With short circuit, overload, over-charge protection. Stable performance, durable. Specifications: Name: Li-ion Battery Mode:DC 12480 Exterior color: Blue Capacity:4800mAh Battery type: Rechargeable Li-on battery. (12V 100Ah). Ultra Light High Performance. LITHIUM -ION BATTERY / LiFePO4 BATTERY. Fully Sealed (cannot spill) - Rechargable - Deep Cycle LITHIUM battery. THAN A STANDARD BATTERY ! This battery is the perfect choice for electric bikes/golf buggies. Application Fields:12-24V storage battery. Note: Light shooting and different displays may cause the color of the item in the picture a little different from the real thing. 12V/3A(Max. )., 5V/2A(Max.). DC output Lithium Ion Battery. Features: This Rechargeable Li-ion Battery is specially designed for powering the system device which use12V DC power. 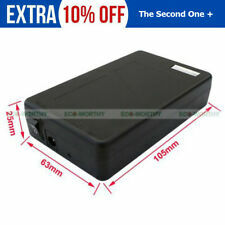 You can use this battery to power our powerful wireless transmitter, CCTV camera,LED lights and so on. Super storage capacity. Insulation shell, the use of more secure. With short circuit, overload, over-charge protection. Stable performance, durable. Specifications: Name: Li-ion Battery Exterior color: Blue Capacity:9800mAh Battery type: Rechargeable Li-on battery Input voltage: 12.6V DC Output voltage: 12.6-10.8V DC Output current:1-2.4A Applications: . Features: This Rechargeable Li-ion Battery is specially designed for powering the system device which use12V DC power. You can use this battery to power our powerful wireless transmitter, CCTV camera,LED lights and so on. Super storage capacity. Insulation shell, the use of more secure. With short circuit, overload, over-charge protection. Stable performance, durable. Specifications: Name: Li-ion Battery Exterior color: Blue Capacity:4800mAh Battery type: Rechargeable Li-on battery Input voltage: 12.6V DC Output voltage: 12.6-10.8V DC Output current:1-2.4A Applications: . Features: It is specially designed for powering the system device which use 12V /5V DC power. You can use this battery to power our powerful wireless transmitters, CCTV cameras,smart phones,emergency lighting and so on . Suitable for your need. Built-in ON/OFF switch to save power usage. Large mah value means long battery life. Built-in IC chip will prevent battery pack from over charge and over discharge , and prolongs battery life. Specifications: Color:Black Capacity:9800mAh USB:5V-2A Input:12.6V DC Output:10.8-12.6V DC Package Included: 1 x Li-ion Battery Pack 1 x Charger. Features: It is specially designed for powering the system device which use 12V /5V DC power. You can use this battery to power our powerful wireless transmitters, CCTV cameras,smart phones,emergency lighting and so on . Suitable for your need. Built-in ON/OFF switch to save power usage. Large mah value means long battery life. Built-in IC chip will prevent battery pack from over charge and over discharge , and prolongs battery life. Specifications: Color:Black Capacity:4800mAh USB:5V-2A Input:12.6V DC Output:10.8-12.6V DC Package Included: 1 x Li-ion Battery Pack 1 x Charger. Robust ABS case. As standard we provide a Mini T-Bar to 12V Socket. With the built in Tracer fuel gauge you can check the power level remaining in the battery. Robust ABS Casing & Soft Grip Texture. (12V 100Ah). LITHIUM -ION BATTERY / LiFePO4 BATTERY. Ultra Light High Performance. Fully Sealed (cannot spill) - Rechargable - Deep Cycle LITHIUM battery. THAN A STANDARD BATTERY ! ALL OUR BATTERIES CARRY A FULL. Features: This Rechargeable Li-ion Battery is specially designed for powering the system device which use12V DC power. You can use this battery to power our powerful wireless transmitter, CCTV camera,LED lights and so on. Super storage capacity. Insulation shell, the use of more secure. With short circuit, overload, over-charge protection. Stable performance, durable. Specifications: Name: Li-ion Battery Exterior color: Blue Capacity:6800mAh Battery type: Rechargeable Li-on battery Input voltage: 12.6V DC Output voltage: 12.6-10.8V DC Output current:1-2.4A Applications: . Features: It is specially designed for powering the system device which use 12V /5V DC power. You can use this battery to power our powerful wireless transmitters, CCTV cameras,smart phones,emergency lighting and so on . Suitable for your need. Built-in ON/OFF switch to save power usage. Large mah value means long battery life. Built-in IC chip will prevent battery pack from over charge and over discharge , and prolongs battery life. Specifications: Color:Black Capacity:3000mAh USB:5V-2A Input:12.6V DC Output:10.8-12.6V DC Package Included: 1 x Li-ion Battery Pack 1 x Charger. (12V 36Ah). ULTRAMAX CODE: LI36-12. LiFePO4 LITHIUM IRON PHOSPHATE BATTERY. Ultra Light High Performance. Suitable to replace Golf trolley batteries 36 Hole Model. THIS BATTERY IS MADE FOR Deep Cycle use - exactly what you need. Compatible battery for the Nokia 5220 XpressMusic and 6303 models. Contents: Battery only. Suitable for your need. With its multi-protective device, the inner circuit prevents the box from over-recharging or over-discharging. Specially designed for the system devices which use 12V power. Suitable for your need.Super storage capacity. With working indicator. Specially designed for the system devices which use 12V power. Built-in ON/OFF switch to save power usage. ● Suit for flashlight, headlight,other devices,electronic gadgets. (12V 100Ah). LITHIUM -ION BATTERY / LiFePO4 BATTERY. Ultra Light High Performance. Fully Sealed (cannot spill) - Rechargable - Deep Cycle LITHIUM battery. THAN A STANDARD BATTERY ! 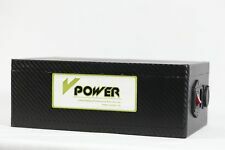 This battery is the perfect choice for electric bikes/golf buggies. Sonnenschein A512/85A 12V 100Ah Sealed Lead Acid Battery. (12V 100Ah). Latest LiFePO4 battery technology – replace your old heavy low capacity lead acid batteries with new lightweight Lithium LiFePO4 technology. Power BA-48 12V 100Ah Sealed Lead Acid Battery. (12V 100Ah). Latest LiFePO4 battery technology – replace your old heavy low capacity lead acid batteries with new lightweight Lithium LiFePO4 technology. National C100A 12V 100Ah Wheelchair Battery. (12V 100Ah). Latest LiFePO4 battery technology – replace your old heavy low capacity lead acid batteries with new lightweight Lithium LiFePO4 technology. LITHIUM -ION BATTERY / LiFePO4 BATTERY. Royale 4S PF7S 12V 100Ah Scooter Battery. (12V 100Ah). Latest LiFePO4 battery technology – replace your old heavy low capacity lead acid batteries with new lightweight Lithium LiFePO4 technology. LITHIUM -ION BATTERY / LiFePO4 BATTERY. Yuasa Genesis NP100-12 12V 100Ah Wheelchair Battery. (12V 100Ah). Latest LiFePO4 battery technology – replace your old heavy low capacity lead acid batteries with new lightweight Lithium LiFePO4 technology. B&B MPL100-12 HS 12V 100Ah Sealed Lead Acid Battery. (12V 100Ah). Latest LiFePO4 battery technology – replace your old heavy low capacity lead acid batteries with new lightweight Lithium LiFePO4 technology. (12V 100Ah). Latest LiFePO4 battery technology – replace your old heavy low capacity lead acid batteries with new lightweight Lithium LiFePO4 technology. 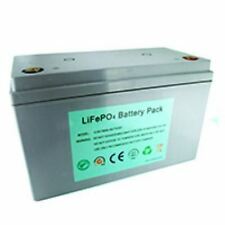 LITHIUM -ION BATTERY / LiFePO4 BATTERY. Ultra Light High Performance. Wheelchairs of Kansas 100AH 12V 100Ah Wheelchair Battery. (12V 100Ah). Latest LiFePO4 battery technology – replace your old heavy low capacity lead acid batteries with new lightweight Lithium LiFePO4 technology. Yuasa Enersys NP100-12 12V 100Ah Sealed Lead Acid Battery. (12V 100Ah). Latest LiFePO4 battery technology – replace your old heavy low capacity lead acid batteries with new lightweight Lithium LiFePO4 technology. Capacity of battery: 6800mAh. Specially designed for a wide range of applications eg. Larger mAh value for long battery duration. Latest LiFePO4 battery technology – replace your old heavy low capacity lead acid batteries with new lightweight Lithium LiFePO4 technology. LITHIUM -ION BATTERY / LiFePO4 BATTERY. Ultra Light High Performance. Parasystems UB12900 (45826) 12V 100Ah Sealed Lead Acid Battery. (12V 100Ah). Latest LiFePO4 battery technology – replace your old heavy low capacity lead acid batteries with new lightweight Lithium LiFePO4 technology. Parasystems UB121100 (D5751) 12V 100Ah Sealed Lead Acid Battery. Latest LiFePO4 battery technology – replace your old heavy low capacity lead acid batteries with new lightweight Lithium LiFePO4 technology. 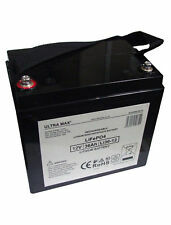 Gaymar-Retec 100AH 12V 100Ah Wheelchair Battery. (12V 100Ah). Latest LiFePO4 battery technology – replace your old heavy low capacity lead acid batteries with new lightweight Lithium LiFePO4 technology.